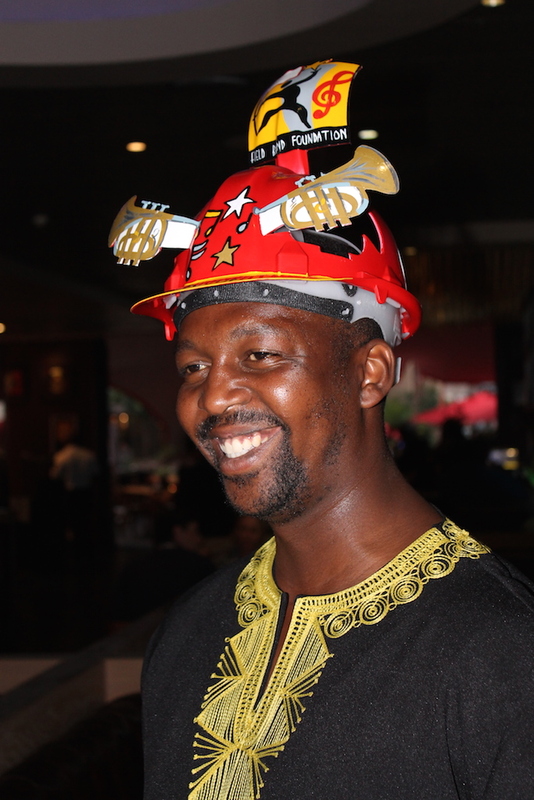 An evening at Hard Rock Cafe! 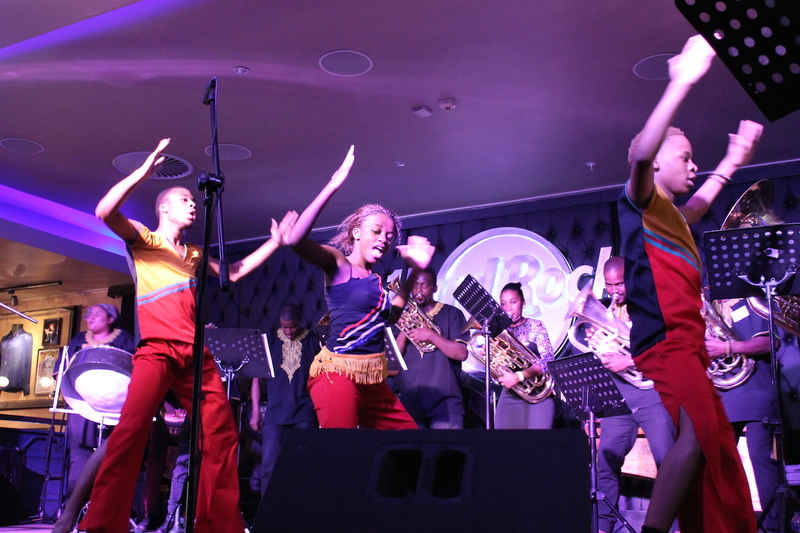 Recently the Field Band Foundation invited sponsors and stakeholders to the Hard Rock Café in Sandton, Johannesburg, for an evening highlighting Field Band’s education programme in collaboration with ABSA. 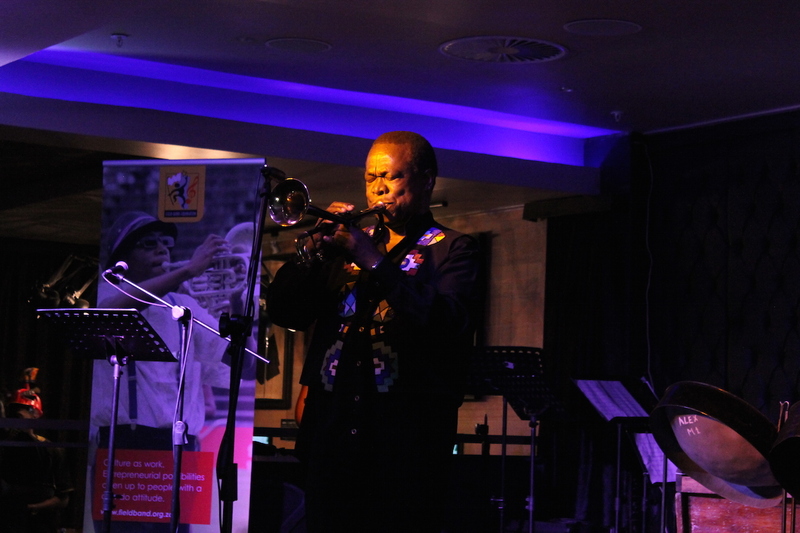 Within Field Band Foundation there are several opportunities for education such as a Tutors in Training programme, workshops for HIV/AIDS education, the Field Band Academy, and exchange programmes to Norway, Belgium and the USA. 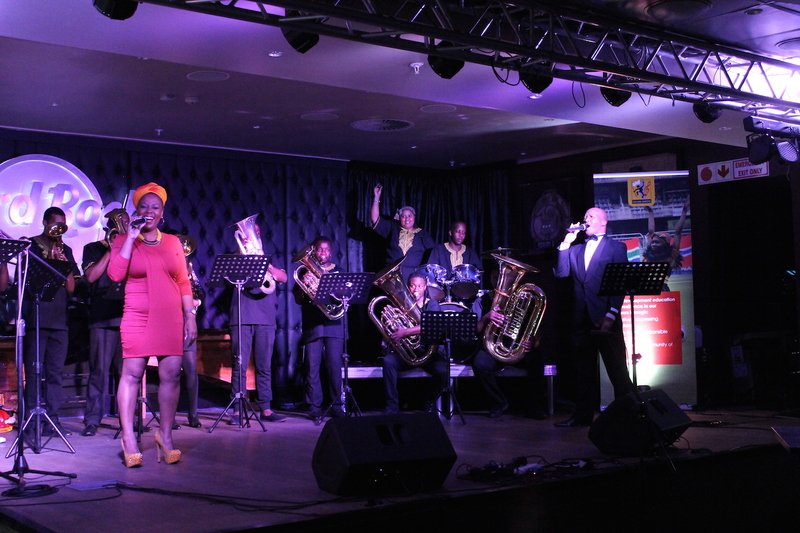 The event opened with performances by members of the Gauteng Field Bands, joined by jazz trumpeter Brian Thusi and singer Sibongile Khumalo, both celebrities within the South African music scene. Throughout the evening, the guests had a chance to engage with several Field Band Ambassadors and hear their own stories of the impact Field Band Foundation has had on their lives. The Ambassadors were former members who now work as tutors in the regions, project officers in a field band, or junior facilitators at the Field Band Academy – all great examples of success stories in Field Band.